This is the one you have been waiting for, I have put over 30 days of work into this video and I do believe it is the most powerful video I have made to date. You be the judge! I’d love to hear your comments, just click the Dr. David Duke Link on the lower left. Please be sure to rate the video, comment on the video, and favorite the video on social and other media and to send it to all your email friends and associates! Just like in USA, American Citizens LOVE their Country NOT their Governments! 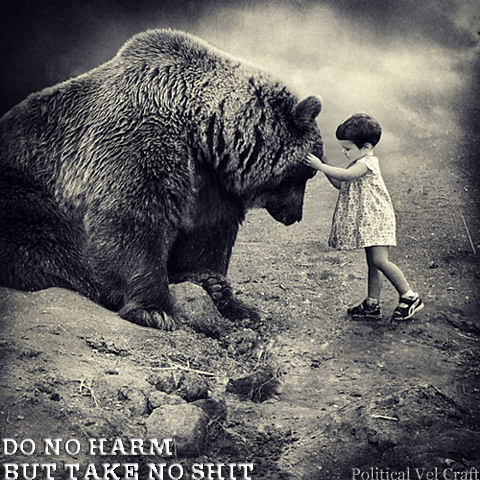 Likewise the Jewish people vs their Governments and NWO Puppet Masters. 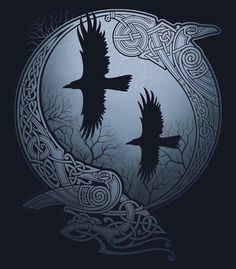 They include members of the Bilderbergers, Bohemian Grove, CFR, Trilateral Commission, IMF, NATO, UN, FED, WTO, WHO, Illuminati, Club of Rome, Committee of 300, Forbes 400 (unpublished) & Military Industrial Complex. by agitating chaos within the 99% for the 1%. 1) Khazar Jacob de Rothschild. 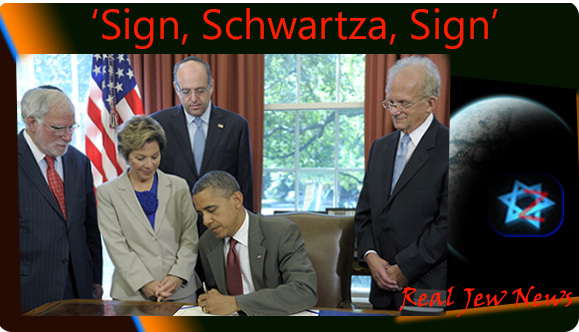 3) Khazar John de Rothschild, who recently said they are working towards global governance. 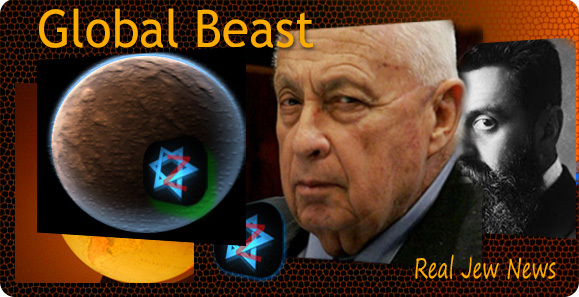 4) Khazar Evelyn de Rothschild. His wife Lynn Forrester is a big mover and shaker in the Democratic party. 5) Khazar David Rockefeller, Sephardic Crypto-Teutonic, who’s son Nick told film director Aaron Russo about 9/11 in advance. 6) Khazar Nathan Warburg. His family was not only instrumental in creating the Federal Reserve, etc. they were also behind the rise of Adolf Hitler. 7) Khazar Henry Kissinger, Globalist genocidal schemer and involved with murdering General George S. Patton. 8) Khazar Convicted Felon George Soros, another NGO manipulator. 9) Khazar Paul Volcker, Crypto-Jew big-time Globalist and economic advisor to Obama. 10) Khazar Larry Summers, Crypto-Teutonic economic advisor to Obama. 11) Khazar Lloyd Blankfein, CEO to the rapidly growing Goldman Sachs banking behemoth. 12) Khazar Ben Shalom Bernanke, current Keynesian master of the Federal Reserve (a private entity, neither “Federal” nor a “Reserve”). What’s the common denominator here? ~The Private Federal Reserve. The case involves a suit brought against an academic union by an Israel-supporting professor who wanted the tribunal to condemn anti-Israel speech as anti-Semitism because, he claimed, an affinity to Israel was an intrinsic part of his and others’ Jewish identity. Anshel Pfeffer in Haaretz says the ruling that such speech does not constitute anti-Semitism has produced “turmoil” in the ranks of British Jewry. I particularly like the bit at the end, where the judge told the plaintiff if he doesn’t want to get his feelings hurt, he should avoid political debate. The case was to have been the culmination of 11 years of pro-Israel activism by [Ronnie] Fraser, a mathematics lecturer who had been fighting against what he saw as a virulently anti-Israel tide, with a distinct tinge of anti-Semitism, rising in the union to which he belongs. Alongside him was Anthony Julius, one of the most prominent Jewish lawyers in Britain and a tireless opponent of anti-Semitism. Supporting the two were a cast of witnesses including Jewish and sympathetic non-Jewish activists, academics and politicians…. The lawsuit was backed both financially and in terms of considerable research resources by organizations linked to the central British Jewry leadership forums, the Board of Deputies of British Jews and the Jewish Leadership Council. But beyond the factual disputes in the case, the fundamental basis of the Fraser’s accusations was that Jews possess a strong feeling of affinity toward Israel that is an intrinsic part of their Jewish identity. The defendants also had their own Jewish supporters. Fifty Jewish UCU [University and College Union] members signed an open letter praising their union and denying that there was any sort of institutional anti-Semitism within its ranks. Julius responded that it was simply a standard anti-Semitic ploy of dividing Jews into good-Jew/bad-Jew categories. But the well-built and detailed case was shattered by the tribunal’s ruling. The panel, headed by Judge A.M. Snelson, accepted UCU’s version of all the events in question, and found that most of the claims were no longer valid in any case, due to a change in the laws. And while many Jews would agree with that ruling, the tribunal did not stop there. At the end of its 45-page ruling, it launched into an extraordinarily hostile invective against the very nature of the case brought before it. The Rothschilds found the Zionist Congress to promote Zionism (a political movement with the sole aim of moving all Jews into a singularly Jewish nation state) and arrange its first meeting in Munich. However due to extreme opposition from local Jews, who are quite happy where they are, this meeting has to be moved to Basle, Switzerland and takes place on 29 August. 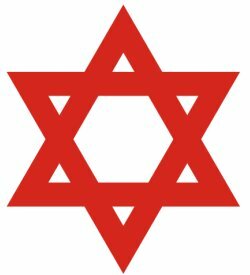 Herzl is subsequently elected President of the Zionist Organisation which adopts the, “Rothschild Red Hexagram or Sign,” as the Zionist flag which 51 years later will end up as the flag of Israel. This all happened after Gandhi Kicked Out Rothschild From India. The British became tea drinkers because of Rothschild’s occupation of India. Rothschild then bought Israel And Forced Abrahamic Jews To Move There. 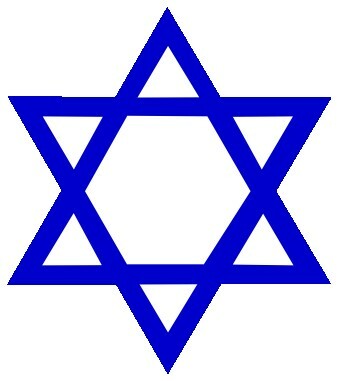 The real Jewish people follow Judaism and are known as Israel (A People ,Not A State). BUT Rothschild Bought This Property and named the State ‘Israel’ and governed it for money making purposes via his ulterior hidden agenda of greed, because after, all he needed another India to pork. ISRAEL IN THE WORLD’S EYES, IS NOW A STATE vs A PEOPLE. JUDAISM WAS NEVER EVER TO BE A STATE, BUT ROTHSCHILD HAD OTHER PLANS FOR A NEW NATION TO BILK. FOR HE WAS JUST KICKED OUT OF INDIA BY GANDHI AND NEEDED A NEW MONEY STREAM TO PARASITE FROM. Gandhi Was Murdered On The Date Israel Was Founded By Rothschild 1943. THE POWER OF THE ZIONIST STATE reaches far beyond the borders of Israel permeating the very centers of global jurisdictions. These centers include not only the political machinery of nation-states but also the military, financial, economic, and propaganda realms of global infrastructures. For what was once known in both geographic and cultural terms as “Christendom” has been supplanted by the global beast of Zionism. 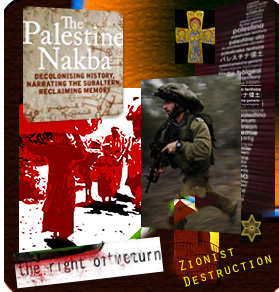 And what began in the late 1800s as a movement to establish a homeland for the Jews in Palestine has created instead with the modern state of Israel a locus of power in a body politic that harnesses the massive power of International Jewry. This is a frightening development for the entire non-Jewish world fraught with omens of provocations which the entire world witnesses moment by moment. Manifestly, Israel does not exist as some tiny insignificant state in the Middle East but as an international menace with tentacles reaching into every part of the globe. Those nations that are not part of Israel’s international hydra: Iran — Iraq — Afghanistan — Libya — Syria, have either been destroyed by Jewry’s Amerikan proxy or targeted for ruin. For this pernicious force, “International Jewry,” which up until the founding of Israel in 1948, only operated as a dispersed and diffused entity. 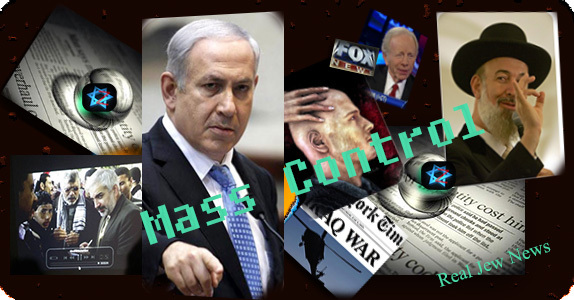 But now, with a state apparatus at its command, “International Jewry” — (in essence, ananti-Christ organism) — fully operates as a globally-recognized body politic with a vast arsenal of nuclear weapons. And that’s scary. Do most Christians grasp the force of this threat? Sadly, no. This conferred additional global military power to Israel’s already current partnership with both Nato and US armed forces. 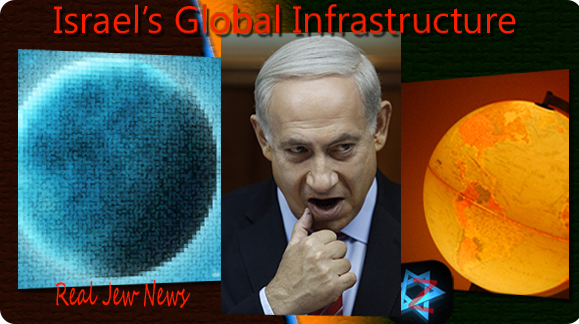 And it is International Jewish Finance that ultimately controls both Amerika’s military and its Nato subsidiary. In the economic realm, Israel is the world’s leader in the manufacture of Drones and is the nucleus behind global Corporations such as Intel, Apple, Microsoft, and Cisco, providing essential hardware and software for production and operation. 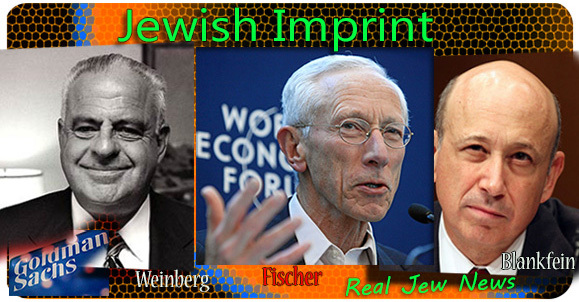 INTERNATIONAL FINANCE is squarely in the hands of Jewish global banking dynasties such as the Rothschilds; the Warburgs; the Weinbergs (this is the family dynasty behind Goldman Sachs); the Moccatas & Goldsmids (global gold trading); and theOppenheimers. 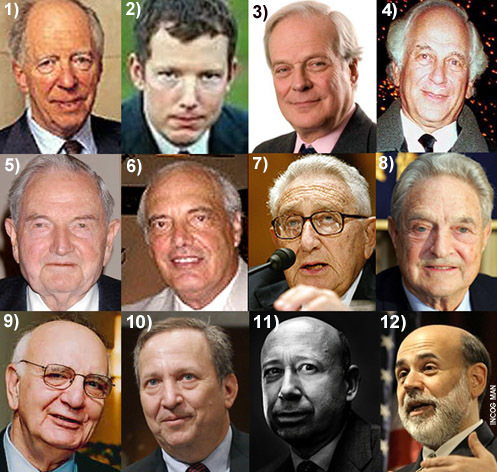 Amerika’s own Federal Reserve Bank, (a private consortium), has as its major shareholder, NM Rothschild and Sons. With regard to globalization, the components of world trade and its institutions have a distinct Jewish imprint. The World Bank has as one of its chief economists, Stanley Fischer, Governor of the Bank of Israel and first Director of the International Monetary Fund where Israel enjoys a domineering role. And with all the choke points of globalization firmly in Jewish hands controlling Currency Exchange Rates (Forex), SWIFT, (transfer of payments), and Letters of Credit, the state of Israel is guaranteed the enduring ability to wreak continual chaos and destruction not only in the Middle East but far beyond its own borderless borders. THE PROPAGANDA MACHINE controlling the minds of millions finds Jewrydominating Main Stream Media venues throughout the Western World. 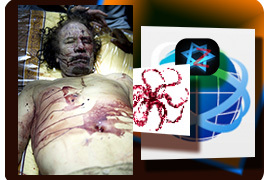 Israel and Jewry, of course, are presented as the good guys and autonomous Muslim nations as the bad guys. With this incessant anti-Muslim propaganda shoved down our throats in myriads of ways and means day after day, wars for the Jews across the map will never cease. This ready-made field of enmity (witness the latest anti-Muslim agitprop, the “Innocence of Muslims” film splashed on headlines ad infinitumby the Jewish-owned press) prevents diplomacy and cooperation from being undertaken. Prior to the forced colonization of Palestine by European and Russian Jews in the 1920s-1930s, the three religious groups comprising the native population of the area: Jews, Muslims, and Christians, got along just fine. Those days are over thanks to the anti-Christ programme of the Zionist-Jewish state and its powerful agents of the Jewish Lobby corrupting the democratic process in Amerika and Europe. Thus, with Israel’s (that is, International Jewry’s) global infrastructure, is it any surprise that Bibi Netanyahu continually pokes his finger into the eyes of terror-stricken Obama who fears losing the “Jewish vote” which decides who will win and who will die? 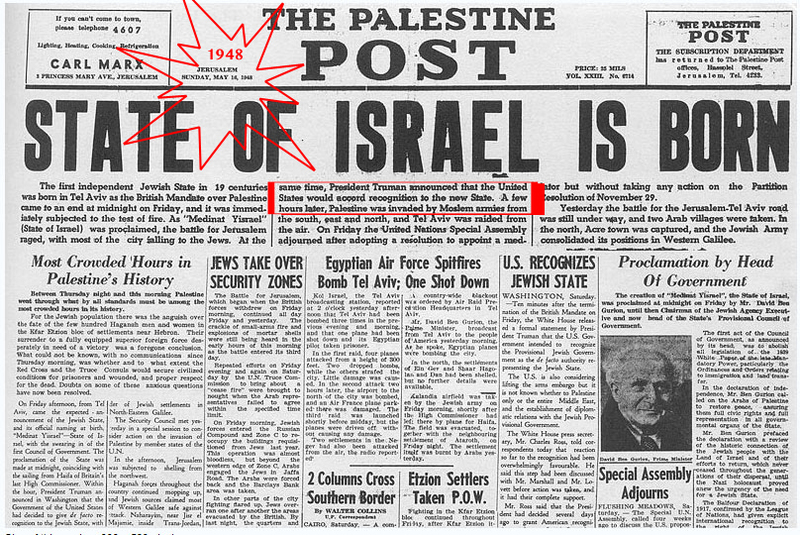 But the Jewish-owned press flashes Amerika’s real commander-in-chief, Netanyahu, before our faces day after day. The man gets more airtime than Obama or Romney could ever hope to get. The Rothschild Government: WANTS Chaos And Panic, Get It? Emergency Preparedness Is YOUR Responsibility! ← 700 Military Special Ops Tell Congress To Form Select Committee On Benghazi ~ IOWs, Do Your Job!